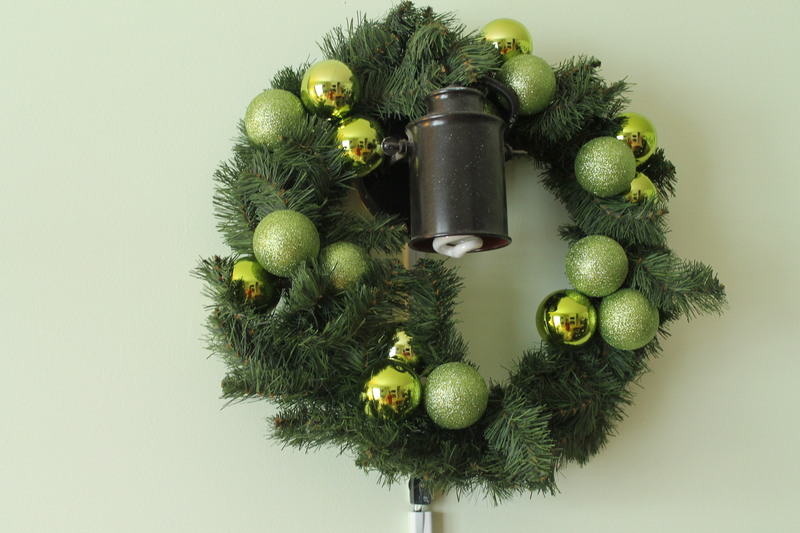 My most recently finished sewing project is a secret, but I do have some holiday decor to share! I’ve been trying to keep a smaller craft project at my parents’ house, for when I need to kill some time between my garden center job and my flute teaching. They’re generously letting me continue to do the majority of my teaching out of their house, since I live just over the next county line now. That, and our dogs are insane when they can’t get to where the people are, and I can’t teach with them around until we move to a different house where I can shut them in a room where they won’t destroy everything in it. Maybe. Anyway. Mom is also letting me use the spare sewing machine in her sewing room as needed (yes, she has two set up all the time! 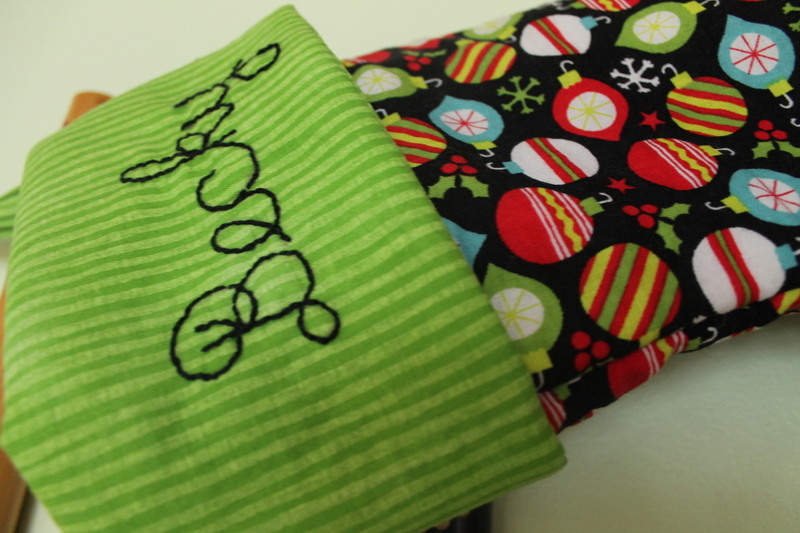 ), and a pattern that she had, so I made some Christmas stockings! I had originally planned to make the lettering red, but I couldn’t find red embroidery floss in my pile of things. I did, however, find black pearl cotton. So, in the spirit of stashbusting, that’s what I used to embroider the names. It only took a couple of hours one night while watching tv, and some disappearing marker. I’m pretty proud of how legible it turned out, actually! 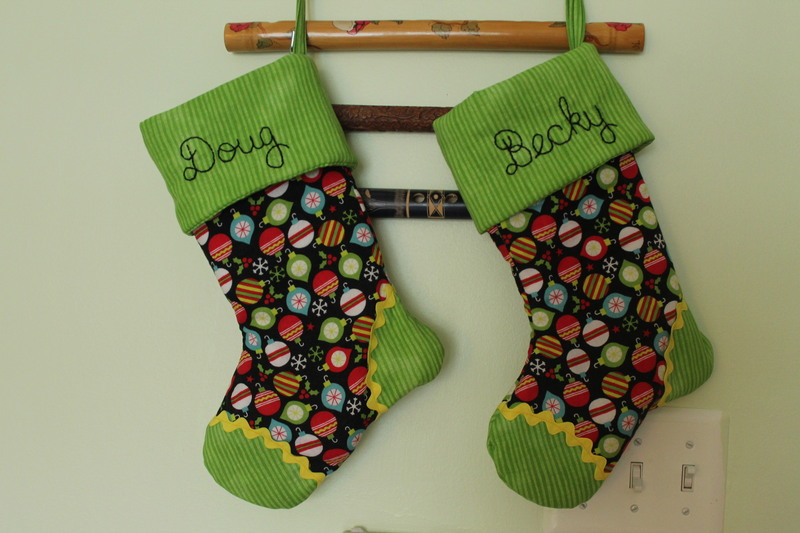 I’d also originally planned to make a couple of smaller stockings for the dogs, but time is running short. So that can wait. It’s not like we can leave treats or toys lying out like that, anyway. Knowing them, they’d eat the stocking! Awww, the stockings are so cute! What a fun holiday decoration! Thanks! I'm happy with how they turned out–and it turns out that hubby didn't do stocking stuffers growing up, so I guess I started a new tradition for us! Fun!